Today, the White House announced that they were looking to thaw relations with Cuba for the first time since President John F. Kennedy severed diplomatic relations with Cuba in January of 1961, which preceded the disastrous Bay of Pigs invasion that following April. In their statement, the White House noted that fifty years of sanctions and other actions against Cuba have failed to achieve their stated means. This seems to be inarguable; ever since those severed ties, the relationship between the United States and Cuba has been highly antagonistic, with America using its financial and political clout to install strict financial sanctions against them, largely punishing them for adopting a communist government and aligning with the Soviet Union until the latter’s dissolution. Under the terms laid out simultaneously by the White House and Cuban President Raul Castro, US residents could travel to Cuba for tourism, and Cuba would be allowed to accept United States credit cards. President Obama has also requested Secretary of State John Kerry to begin a review of Cuba’s standing on the list State Sponsor(s) of Terrorism, and some prisoners – most notably American Alan Gross – have been exchanged. 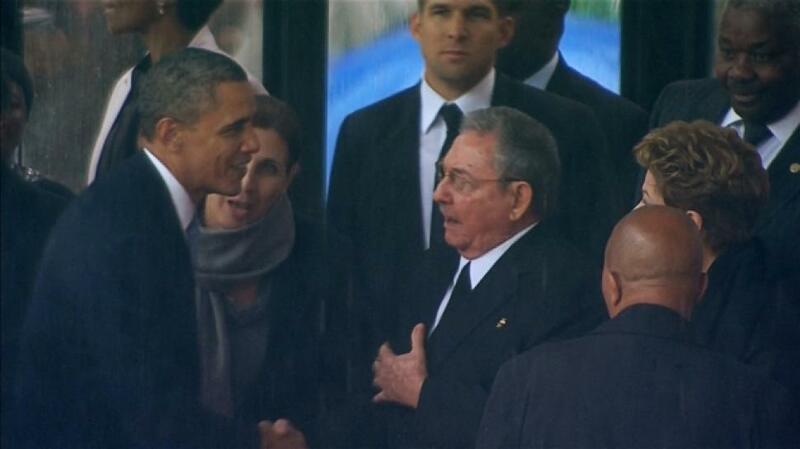 Of course, everything is not as cut and dried as Obama simply waiving his hands and saying “make it so”. For one, most Cuban sanctions are codified in American law, per Doug Mataconis. The number one opponent is going to be Senator Marco Rubio (R-FL), whose views echo those of many Cuban exiles and their family members who refuse to deal with Cuba so long as the Castro brothers are in power. Combined with Congress’s total inability to get anything done of note, there is going to be resistance before relations can be formally normalized.1 Naturally, when diplomacy is on the table, there is also a contingent of Americans – the hawks – that are not satisfied unless we’re blowing someone up. Don’t mistake this for altruism. The intention here is definitely to line the pockets of private industry as the mandate’s stated goals of increasing internet penetration and American tourism start to take seed. There’s also the view that ending the embargo will hurt Raul and Fidel Castro as people start to realize the magic of capitalism, a view that seems to be shared by Hillary Clinton. Lastly, our request for Cuba to improve their human rights record is pretty funny, contextually speaking. But even if it’s bad for Cuba’s leaders, opening up relations with Cuba is not only the best thing for Cuba’s people, it’s the best thing for America, as well. We not only get a fertile ground for business dealings – a problem only for hard-core communists and socialists – but we look much better to the United Nations, now that it’s not just us and Israel holding out. Ultimately, the end of the embargo, and the surety of the overall improvement to both the Cuban economy and the quality of life of its people, will prove one key point: America, and capitalism, won the Cold War, and it was a rout. The Soviet Union’s been dead for over twenty years, replaced by a plutocracy. Cuba will fundamentally change after holding out for decades purely out of spite. And other countries such as China are communist in name only. If the Cold War was a fight between American capitalism and communism, it’s over, and it was a slaughter. 1 – I would not be surprised if a Republican controlled Congress put the brakes on this for at least two years so as not to give Obama credit. I’m in the middle of fall in the Pacific Northwest. 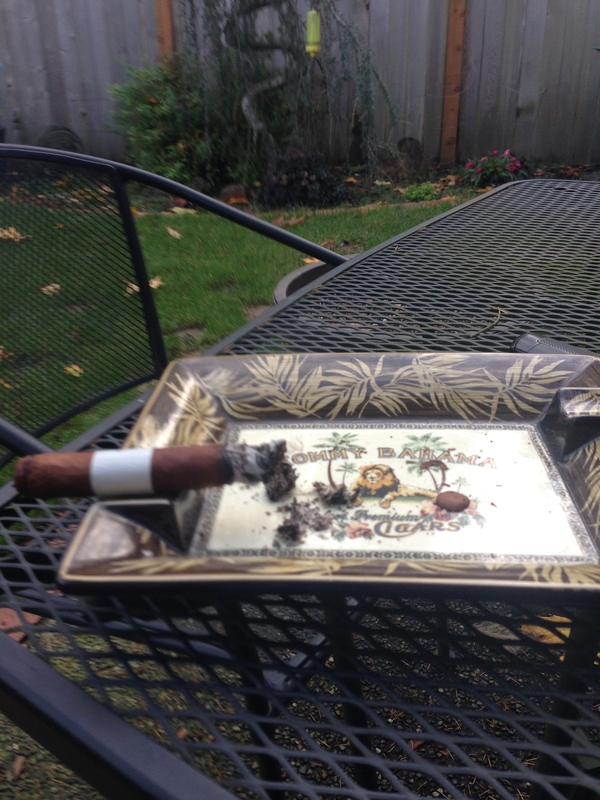 Which means that it’s mostly rainy and grey … and my opportunity to get out and smoke a great cigar is pretty slim. Last week and next week are travel weeks for me and that makes it even more difficult. You have to take advantage of any break in the rain this time of year, but if you’re on the road that’s difficult. Fortunately, Saturday was a beautiful fall day in the Northwest. It was cold, but crisp and clear. The day was so beautiful and the opportunity so prime, that I had to break out a cigar from my the bottom shelf of my humidor. The top shelf, easy to get to and visible through the glass top, has my sort of daily smoking, less prime cigars. The bottom shelf has the Montecristo Churchills and Oliva Serie V in it. And something very special, as well. 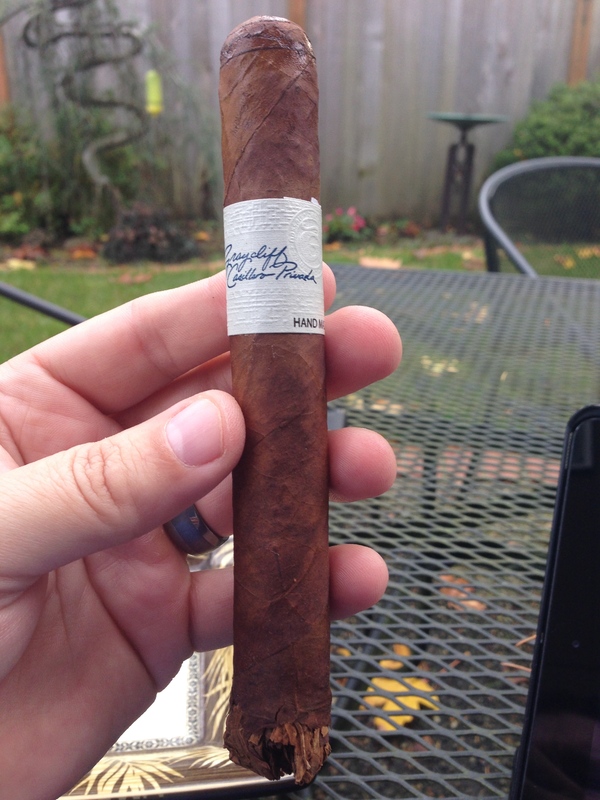 I figured today called for the Graycliff Casillero Privada. I bought a mazo of 10 of them a couple months ago. They’ve been in the humidor ever since. I love Graycliff cigars. I frequently try and find an online cigar shop that stocks these bad boys. And these promised to be special. Casillero Privada, in Spanish, means Private Locker. These are the cigars that the famous Graycliff hotel in Nassau keeps locked away for their VIP guests. But they released a few mazo’s to be sold publicly earlier this year and when they did I grabbed one without hesitating. 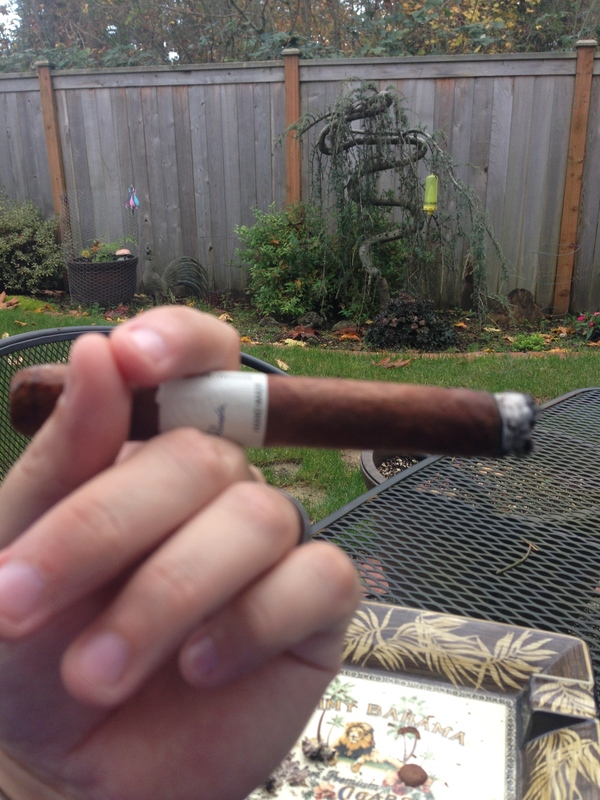 And I promised the TLP crew a cigar review. Perfect excuse to light one of these guys up and see if it lives up to expectations. Bottom line up front in case this post is tl;dr for you …. 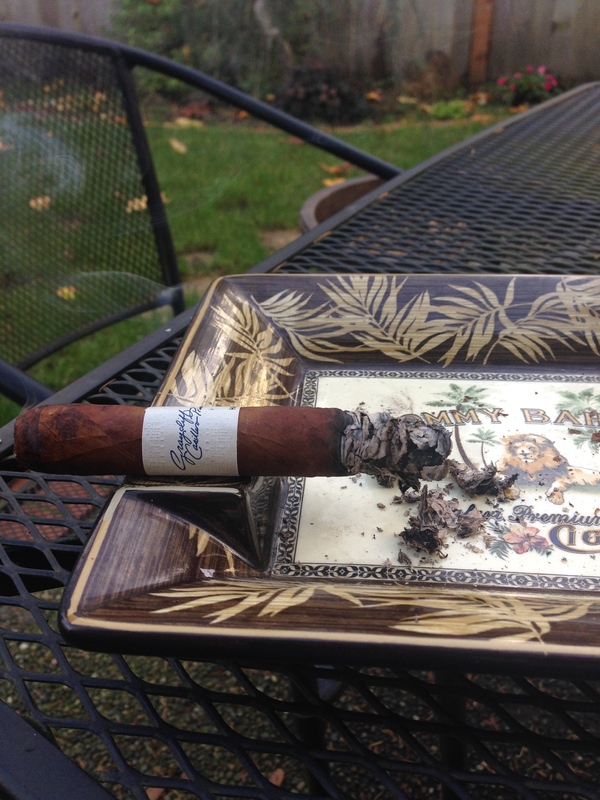 This is an absolutely fantastic cigar, but may not be approachable for a novice. If you haven’t smoked much, I would recommend choosing something else. But if you are a cigar enthusiast who enjoys robust, complex, premium smokes then this is the cigar for you. 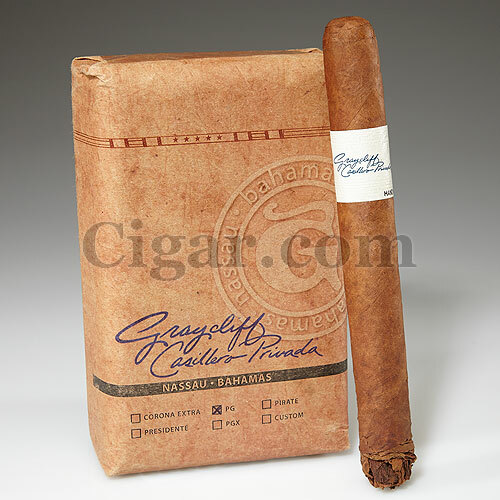 This is a Graycliff Casillero Privada PG 5×52. At first sight, the cigar is decent sized with a shaggy foot, giving it a rustic “old school” appearance. The wrapper is dark brown, lightly oily and looks like old leather. It had no obvious cracks, bubbles or other blemishes. The seams in the wrapper and cap are very tight, almost invisible and very few veins are apparent. The unlit aroma was of exotic spices, pepper and black tea, with an underlying barnyard odor that I suspected would turn to a very deeply earthy aroma once lit. The cigar is clearly rolled by hand and does not use a form for assistance. It is not as dense and firm as a form rolled, mass manufactured cigar would be. Lighting the cigar, in spite of the shaggy foot, was easy. 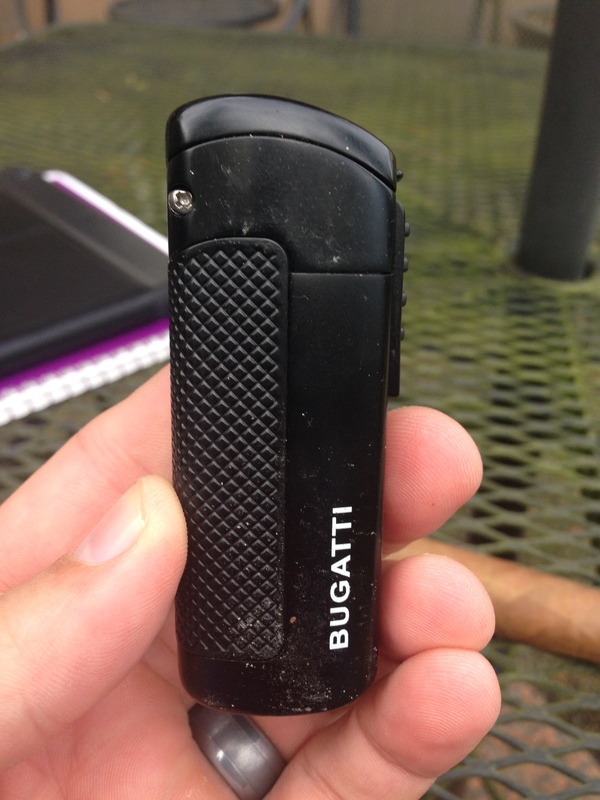 I use a Bugatti lighter with 3 jets, which allows for a wide, even lighting. Toasting the end of a cigar is easy with the Bugatti. As I said, it lit easily and very uniformly. The first taste was medium bodied and complex, the smoke was cool, the flavor was peppery with a bit of earthiness. The draw was very easy and smooth. The cigar produces a lot of smoke and burns quite clean. First impression was excellent. I’m drinking Bulleit Rye and soda and this seems like a good choice to start. The rye, with its spice, fruit and hints of maple syrup sweetness should really compliment the earthy, peppery cigar that I’m anticipating. 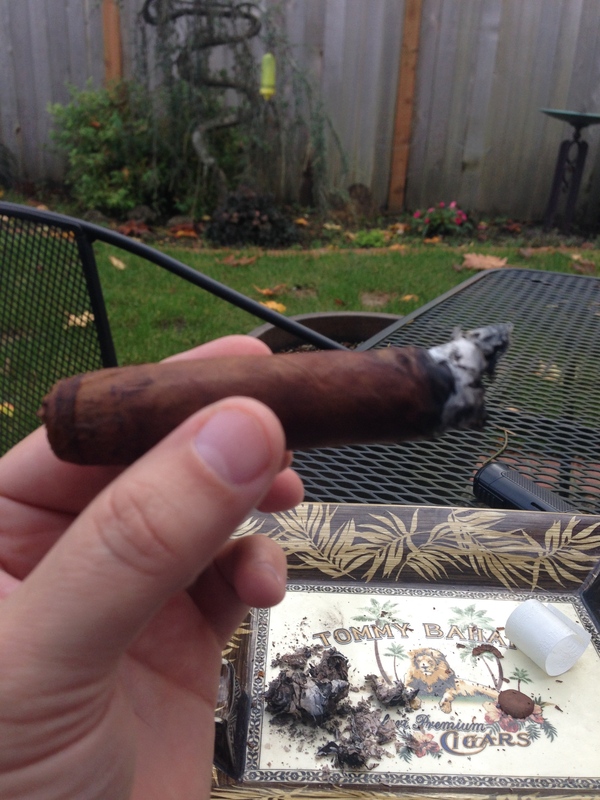 During the first 1/4 of the cigar I found that the initial complexity was not a fluke. It kept building, with notes of leather in addition to the spice and earth. It is very robust, definitely not for the faint of heart. Within the first inch all sense of the barnyard is gone, replaced with a very lovely earthiness that I am really enjoying. The cigar burns quite evenly and draws very smoothly. 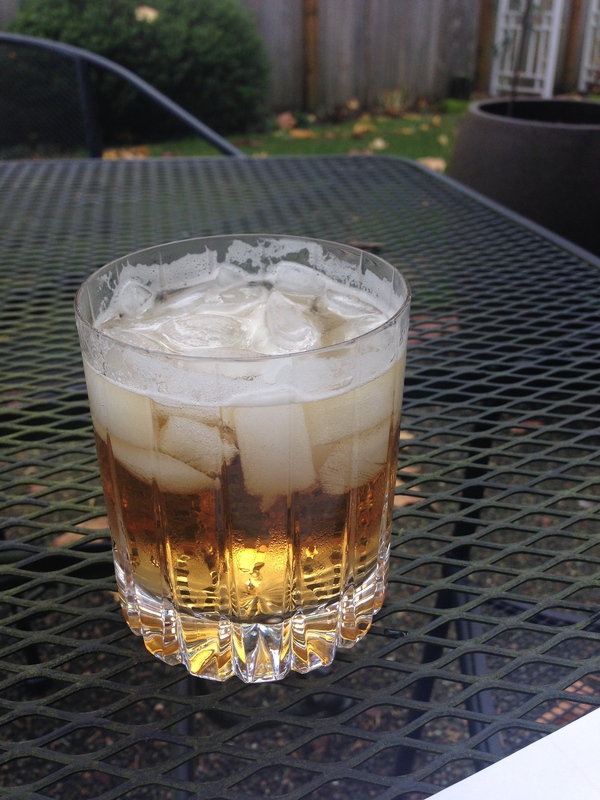 As I work my way into the cigar I find that I was right, the rye and soda is a great choice and really compliments the dry leathery notes in the cigar. The ash is white and even and one inch of ash is not a problem whatsoever. As I move further into the cigar more becomes apparent. Toasted nuts, leather, earthy, peppery. This cigar is very masculine. At the halfway mark the pepper has built to the point that I am getting spice in my nose. Moving into the second half of the cigar it still burns cool and even and the draw remains smooth. Hints of oak and vanilla begin to appear and the the leather and pepper build even further. This cigar is really amazing. I have yet to find anything negative about it. This cigar is clearly very special, among the elite of cigars. In the last 1/3 of the cigar, if it is possible, this cigar blossoms even more. It becomes very robust and much more complex and full bodied. I can taste earthiness overall, but quite a bit of spice, pepper, toasted nuts, leather and coffee, even a bit of cane sweetness. It is clearly hand rolled. The cigar is light in the hand, almost fragile feeling compared to cigars rolled in forms and made in factories. Clearly it is not a mass made cigar. The head has gotten slightly soggy, but not enough to detract from the overall experience. First, the score. This cigar absolutely deserves a 95 or 96 score. Definitely on top of the game. This is a cigar for a smoker that appreciates being challenged. Matching it with the right drink is imperative. A bourbon or rye will be a much better choice than wine or a scotch, where the alcohol will vie with the cigar rather than compliment it. I cannot recommend the Casillero Privada highly enough. It really is among the great cigars I have ever had. I have 9 more in the humidor and will be enjoying them over the coming years, seeing how they age and improve over time. Avelino Lara was one of the greats of the cigar industry. Born in 1921, he was the creator of Cohiba and contributed materially to the Davidoff line of cigars. At one point, Lara was the personal roller for Fidel Castro. After retiring in 1996, he moved to Nassau. There he rolled a few cigars for guests at the Graycliff hotel. This did so well that the Graycliff and Lara joined forces to create the Graycliff line of cigars, which are considered by most to be among the finest in the world. As I understand it, the Casillero Privada was the continuation of the original starting point at Graycliff, where Lara was just rolling cigars here and there for guests. After the Graycliff line was started, Lara’s hand-rolled cigars were kept in a private locker, a casillero privada, for the VIP guests. So, if you want to smoke a cigar that celebrates the heritage and craft of one the greatest cigar makers of all time, this is the one.